The Marvin Integrity window is the "economy" fiberglass option from Marvin, although all of the window models and series they make are considered quality products. Marvin only makes three lines of windows; the Integrity, Infinity windows and the Marvin Ultimate clad window. Marvin enjoys a good reputation in the window industry and the Integrity is no exception. The Integrity does not offer as many custom features, options or upgrades as the Marvin Infinity series, but is a less expensive series by perhaps 10% to 20%. The one real plus is the real wood interior, which makes for a well-made fiberglass clad window with the real wood interior. The Integrity Series from Marvin is a fiberglass window that comes in two options, either in a full Ultrex fiberglass frame on both the inside and the outside or the Ultrex exterior with a real wood interior option. This is a great option for consumers who want the wood interior, but still want the strength of the fiberglass exterior. The Integrity comes with Cardinal Glass, a well-regarded glass company. The Integrity lacks some of the nicer options of the Infinity model, although it also runs about $75 less per window then it's Infinity counterpart. Homeowners can expect less sizing options, a thinner frame, less color and interior finish options, as well as a bit less in terms of the overall aesthetics of the window. Fiberglass replacement window costs generally run anywhere from $60 - $110 per square foot fully installed. The Integrity model should run approximately $75 - $90 per square foot fully installed. (This assumes a standard installation cost of $50 to $150 per opening.) Some of the factors that will determine pricing include the upgrades that you select, the type of installation required with your project and the size of the window openings. Compare the Marvin Integrity to Pella Impervia prices and Milgard Ultra Window costs. The Marvin window warranty protects consumers from manufacturing defects in the materials and the workmanship for 10 years. 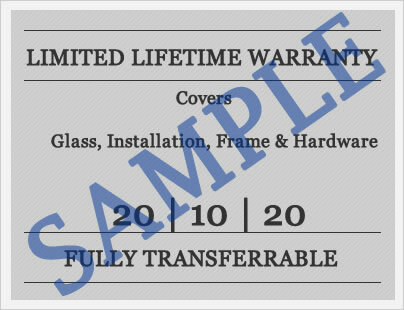 Insulated glass is cover for 10 years, clear glass and stainless steel spacers carry a 20 year warranty, while non tempered glass carries a ten year warranty. The cladding finish is warrantied for 20 years, specialty exterior finishes carry a 5 year warranty, as does interior finishes. Window components such as hardware, lift rails, etc. carry a 10 year warranty. Do you have a question about the Marvin Integrity? Our site editors, John and Jim can help you get the best info on cost, upgrades, installation, contractors bids, and help you analyze your specific project quotes for your next home window replacement purchase. Want to add your Marvin Integrity windows reviews to our site? Post it here to the right and help others make the right replacement window choice for their home. We have a home in Charleston, South Carolina and need impact windows (or at least impact glass, not sure the difference). We are considering either the Viwinco OceanView or the Marvin Integrity. I like the overall look and numbers of the Intergity but it's also $10K more expensive than the Viwinco OceanView. Dan, the difference between impact windows would be strainer components, smaller AI, and in general smaller tolerances on the impact window, although a well made window like the Marvin Integrity would be close to an impact window with the tempered glass. Look at the DP or Design Pressure rating on the window to see the overall strength. I would shoot for one with a DP50 or greater. If this were me and I were staying in the house long term, I would consider the Marvin Integrity. However, I might also go with a better impact window, one specifically designed for that purpose -- maybe the Sunrise Coastal impact window or the Soft Lite Armor Max. If I were staying in the house more short term, I would go with the Viwinco OceanView model and save myself the $10K.